The creativity, the colour and the enthusiasm that this business exudes are absolutely contagious, and I am so excited that they now can show off all their wares in real life - in their NEW STORE! I know we all shop online; one for the speed and convenience but this is one store you will want to pop in to just for the colour inspiration alone. The female-run business, led by Alana Waterson and Sara Dickins, made their first sale in 2004 and it has been a wild ride ever since. The creators of the confetti balloon are known for styling colourful parties for Melbourne’s finest and I have been very lucky to be able to use them for a few parties I have had. The balloon installations they created for a friends birthday really set the scene for what was a fantastic day. 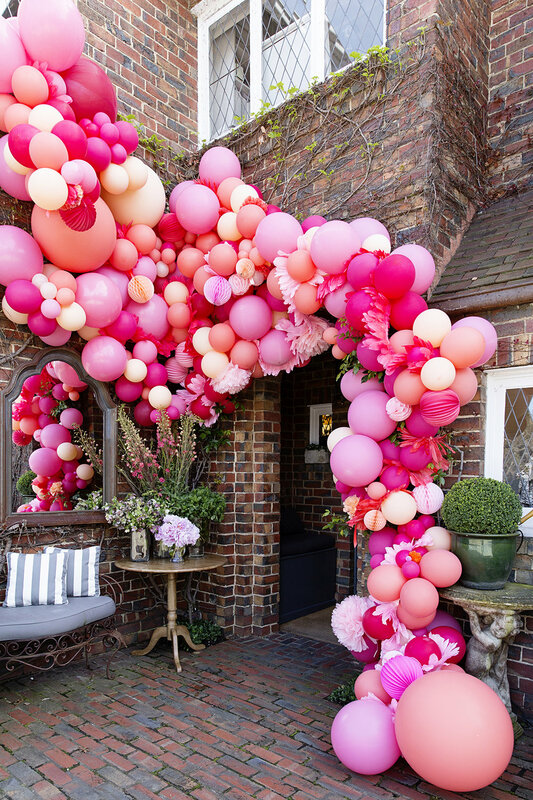 The cascade of different sized, coloured balloons made such an impact on the entrance of my home I matched the entire party back to it. From the door decor to the table decor, Poppies for Grace absolutely nailed it, and I could not have been happier. 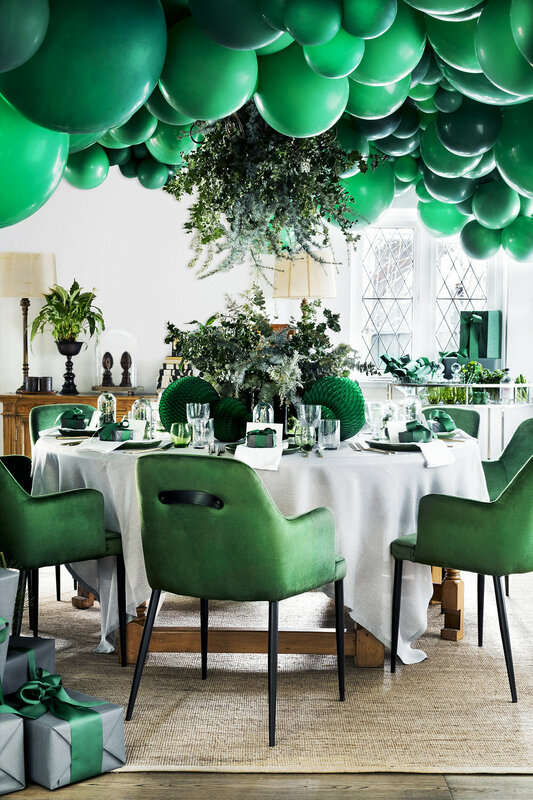 My Christmas Table for House & Garden would not have been the same did I not have a roof filled with their gorgeous green balloons. Using balloons isn’t a traditional Christmas idea. But like all parties, I want elements of fun and whimsy, so using balloons in a Christmas event gave it a different feel and mood, really giving the occasion a much-needed twist. What do you think? Their new store (which I was so excited to open for the last week!) will not only stock their brand, Poppies For Grace, they are importing the best party wares from around the globe. They will have a vast range of party bag fillers, children’s toys and party bling- think glittery clutches and tassel earrings! What more could a girl want? Store Location : 297 Auburn Road, Hawthorn, Melbourne. Follow Poppies for Grace on Instagram for some serious colourful fun!